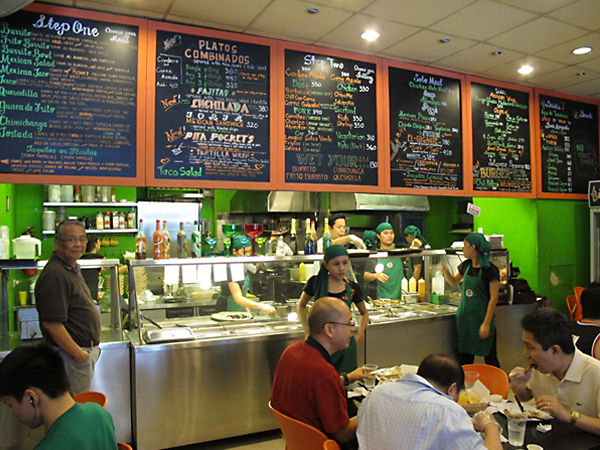 The front of the restaurant is a cafeteria sort of set-up where you can see the ingredients, condiments and other components of the food you order. Prepare to salivate. Step One would be choosing what dish you'd like. Step two would be selecting your meat and so forth. You assemble your own dish as you go along, so you can add or subtract according to your pleasure. Isn't that neat? 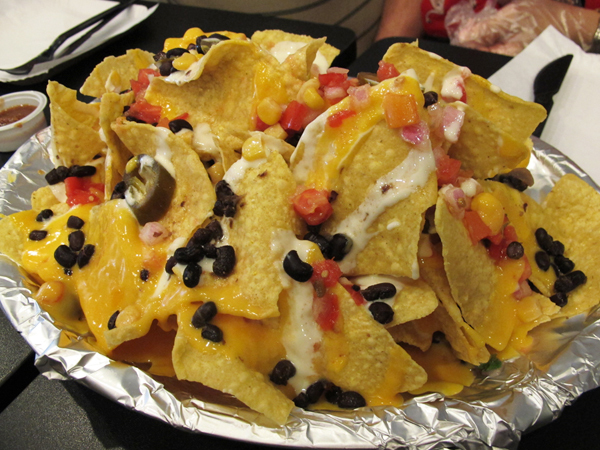 First up is the an order of Ballpark Nachos. Big serving with lots of toppings, good for maybe 3-5 persons, depending on your appetites. 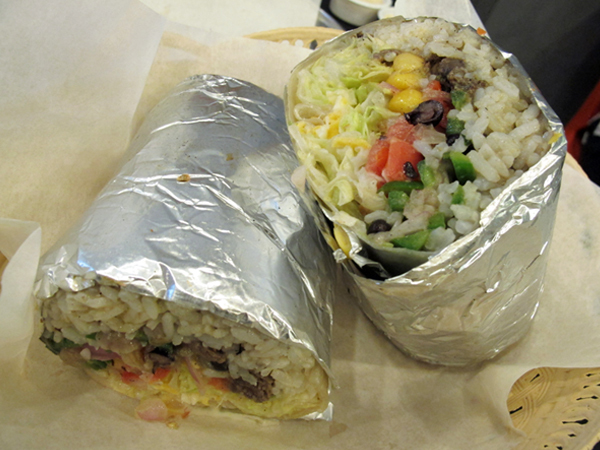 Beef Burrito. It's a single order but cut in half because of its hefty size. I found it hard to even finish a half portion. These Tacos come in threes. Very flavorful. I finished one but I could easily eat all three too. Dun-dun-dun-duuuun! My favorite dish at B and T--Quesadilla! It's not the normal Quesadilla that I've tried from other Mexican restaurants, which is usually just a tortilla filled with melted cheese or slivers of chicken. This is a huge pizza-size flour tortilla folded in half and torched (Torching it gave a sort-of nutty flavor and a crispness that I loved.). The filling of meat and veggies was abundant and heavy on the stomach. I was only able to eat a quarter of it. For the light eaters, it comes sliced, so don't worry. 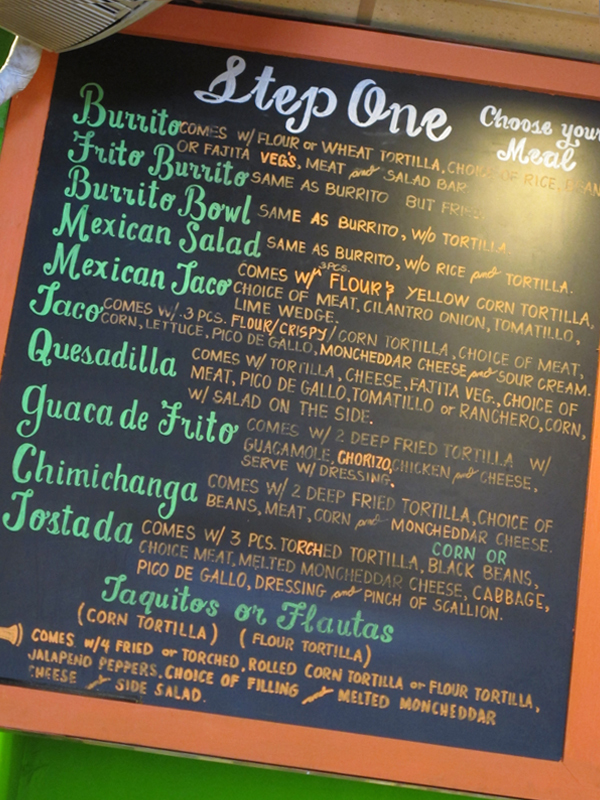 Where do you go to get your Mexican fix? This place looks amazing! Living overseas, I've found myself really missing Mexican food and I'm practically drooling as I read through this post. Particularly at that quesadilla! 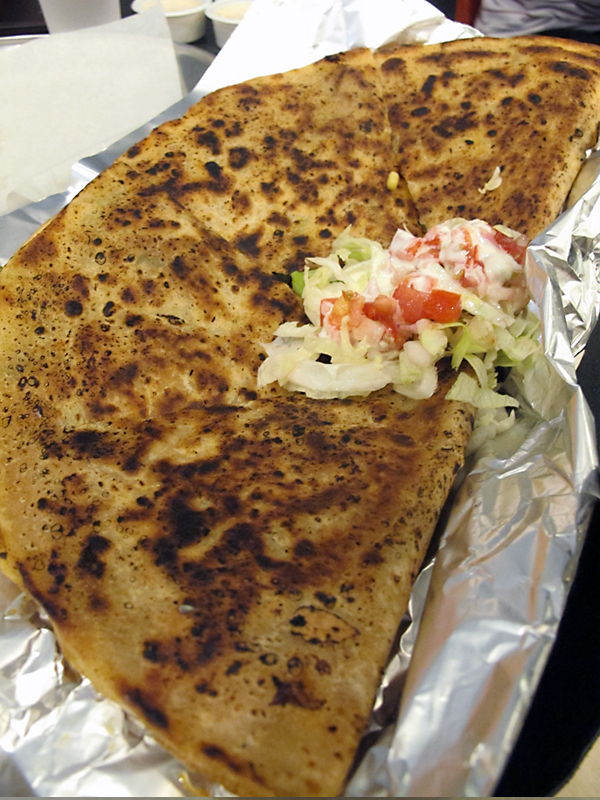 Yes, the quesadilla is droolworthy! Mexican food is still the best - yummy! Oh wow!!! The food shots look great. This is one of the reasons why I avoid food blogs in the middle of the night LOL. 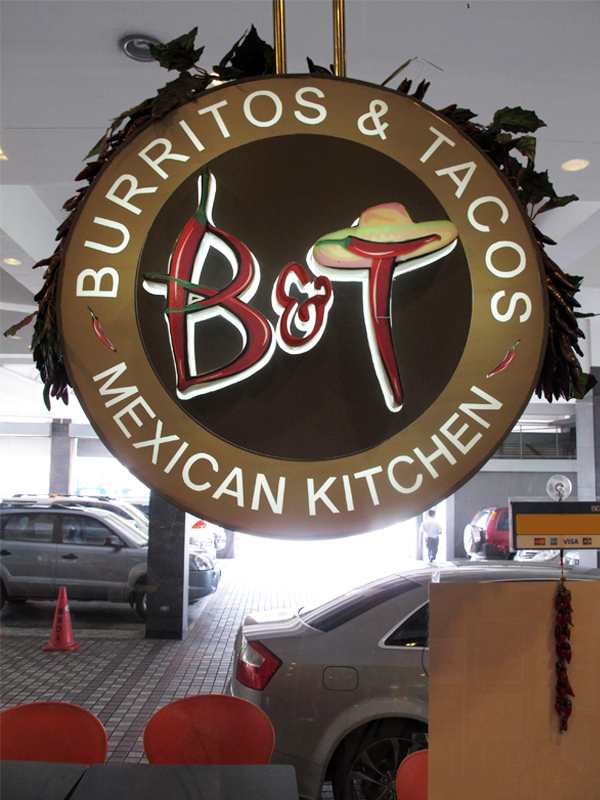 Makes me want to run to B&T now and get all these food! Great post sis! Hahaha! Food posts do induce cravings! 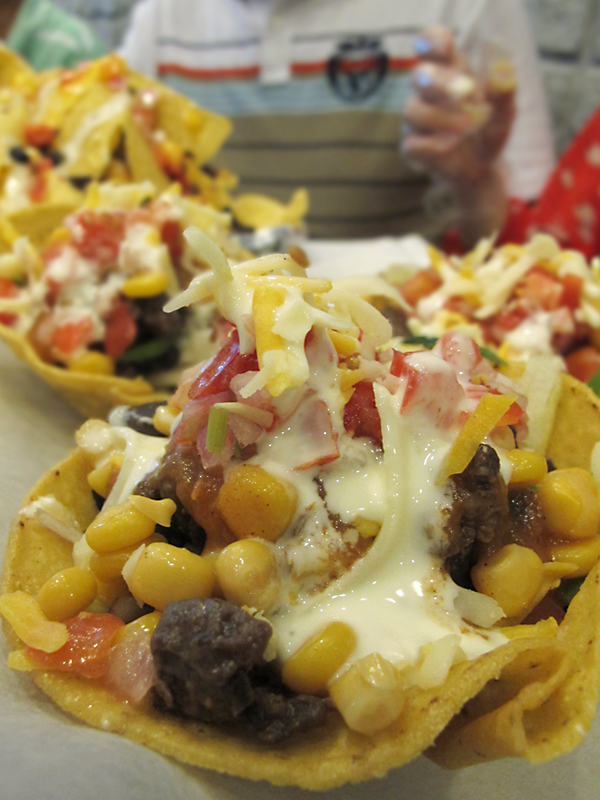 The nachos look delish! We've got a Mexican place every two steps here because Mexico is so close, but most of it is not that good (either too Americanized, or too greasy). Oh, I'm turned off by greasy food as well. Despite a humongous dinner, I'm definitely craving more right now! wow food looks so good! Yummmmmmm it is only 727 in the am and I am already thinking about lunch! I love a place called uncle Julio's for my Mexican food fix!! I've just had lunch and am already looking forward to dinner. Haha! ummm yum, my fiance would be in heaven ar this place! OMG, This look sooooooooooooooooo good! You are seriously making me hungry right now!! I usually get my Mexican fix from a restaurant called Rosa Mexicana or Orale! So yummy. Haha! Food photos can trigger a lot of cravings! This is making me REALLY hungry haha! Thanks for the comment. I am now following you too, not only on GFC but also on Bloglovin! Hope you do too hun! Um, that looks delicious!! Love authentic mexican food!! Umm...yes please!! All of it looks so delicious! OMG Philippines!!!!!!!!!!! Thanks for giving me a slice of home!! Yum I LOVE mexican food! Looks like a great place to eat! Thanks Meg! I love Mexican food too!